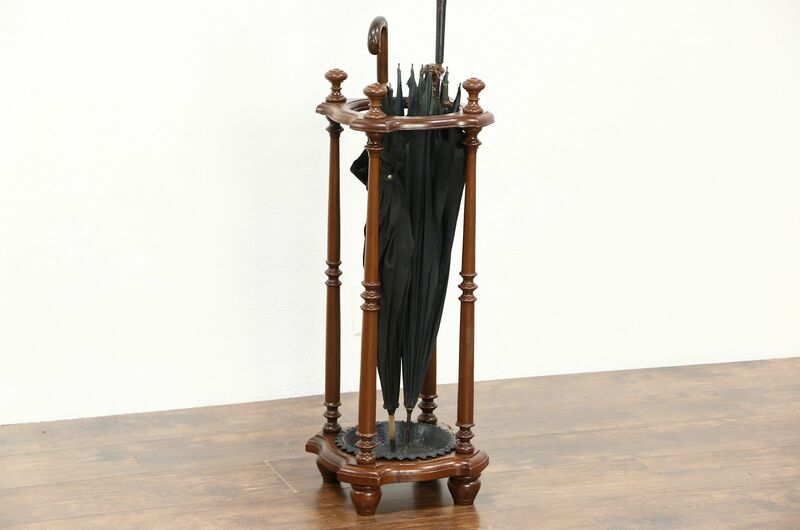 Carved of solid walnut about 1860, a Victorian period umbrella and cane stand has a cast iron drip tray. The restored finish is in excellent condition on this American made antique furniture. There are minor losses at the edges, see photos. Measurements are 12" square and 31" tall.